In Colorado, Washington, and Oregon, voters this November will have the opportunity to pass laws that decriminalize marijuana. This would be a good change—but much, much more will need to be done to end the hideous consequences of the war on drugs. 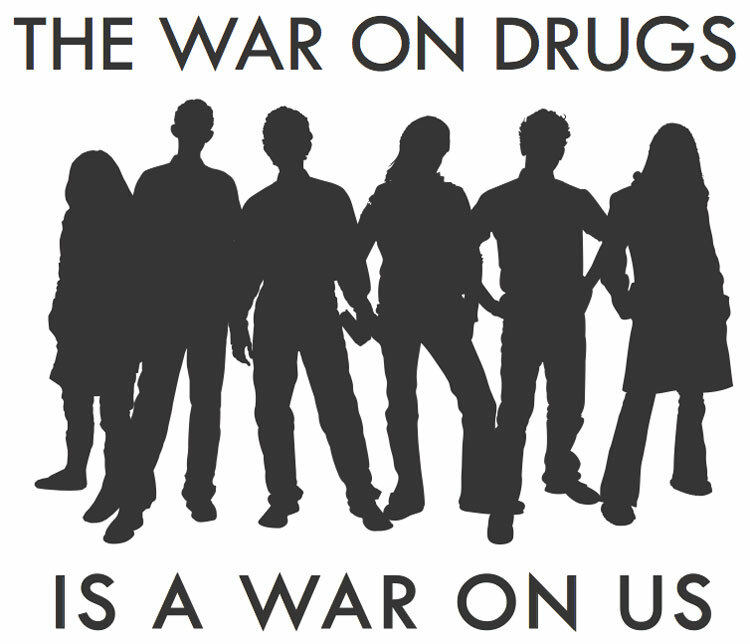 It is largely agreed that America’s war on drugs has failed. Like any prohibitionist measure, criminalizing drugs has only pushed the trade underground and swelled the nation’s prison system to a size larger than any other country on earth. Currently, there are approximately half a million people in prison for drug offenses. Four out of five drug arrests are for simple possession, 80 per cent for marijuana and most people in state prison for drug offenses have no history of violence. Many of these non-violent drug offenders, thanks to the popular “three strikes laws,” face mandatory minimum sentences of 25 years to life in prison—with no chance of parole until they have served every day of those 25 years. With costs varying between $25,000 and $75,000 a year per inmate, mass imprisonment has eliminated funds for drug treatment and counseling services both in and out of prison, despite evidence that these programs are widely effective. Why do we imprison drug-users and drug-addicts? Is drug use and abuse so morally abhorrent? More egregious than war profiteering, or Ponzi schemes and insider trading? Why is drug abuse not a public health concern instead of a criminal matter? Perhaps the answer to these questions lies between the lines of some sobering statistics. Although whites are just as likely as African Americans to use illegal drugs, one out of every 14 black men are in prison on drug-related charges compared to one in 106 white men. Black people in the US serve almost as much time in federal prison for a drug offense (58.7 months) as whites serve for violent crime (61.7 months). African-Americans comprise 14% of regular drug users yet are 37% of those arrested and 56% of those subsequently imprisoned. There are now more African-Americans under the watch of correctional control today than there were enslaved in 1850—ten years prior to the Civil War. Richard Nixon initiated the war on drugs in 1972 as a reaction to the alarming number of addicted Vietnam veterans. He declared that the country was in the “throes of a national emergency.” Behind the scenes however, he showed his true colors to his Chief of Staff H.R Haldeman when he stated, “The whole problem is really the blacks. The key is to devise a system that recognizes this while not appearing to.” And that’s exactly what eventually happened. By the time Reagan came along, drug crimes in the US were actually declining–but then crack cocaine appeared. Thus began a huge campaign publicizing inner-city crack babies, “crack whores,” crack mothers, and all sorts of crack-related crime, violence and mayhem. Soon every television network was picking up and sensationalizing the crack epidemic and soon after that billions of dollars toward the drug war and concurring “tough-on-crime” sentencing laws were enacted by Congress. For example, in 1986, Reagan approved the crack versus powder cocaine sentencing disparities that led to dramatically longer prison sentences for Blacks who were summarily incarcerated at rates 6 times that of whites. Though that law was finally changed in 2010, it was not made retroactive, thus doing nothing to correct the current mass incarceration of Black people. People of all colors use and sell drugs at remarkably similar rates. White youth, for example, are significantly more likely to engage in illegal drug dealing than black youth; yet, despite this fact, communities of color are being regularly strafed by militarily trained SWAT teams, decked out with assault rifles, bazookas, grenade launchers, helicopters and tanks, sweeping often entire neighborhoods with no-knock search warrants and terrorizing homes at all hours in an “attack first, ask questions later” approach. 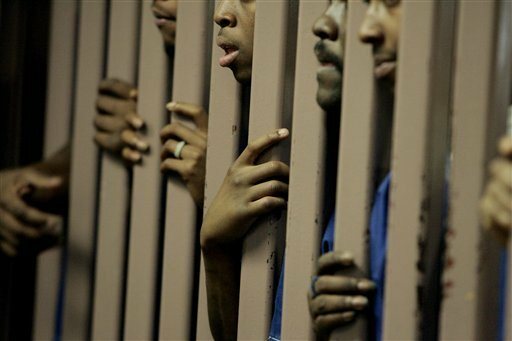 This mass arrest and subsequent incarceration of African-American men is destroying families. A Black child born today is less likely to be raised by both parents than a Black child born during slavery. “Felon” is a distinction that most felons carry for the rest of their lives. The majority of states do not allow felons to serve on a jury, access public housing, receive social security benefits, or food stamps. Employers and private landlords may deny felons access at will. Most states do not allow those with felonies on their records to vote. In states that do allow it, felons must navigate an extremely complicated tangle of bureaucracy in order to recover their voting rights. And even where felons may regain voting rights, there is no effort to inform felons or to assist them in the process. 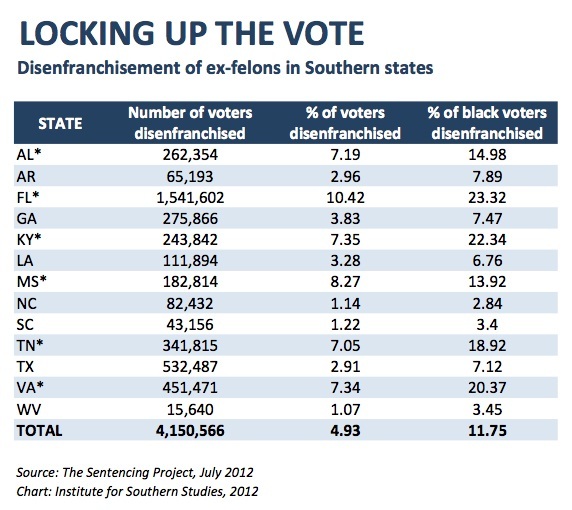 See the report, “State-Level Estimates of Felon Disenfranchisement in the United States (2010)” by the Sentencing Project. The level of disenfranchisement is astounding–in 2004, more Black people were disenfranchised due to felonies than were disenfranchised in 1870, the year that the 15th amendment was ratified. Regardless of your opinion on the efficacy of voting, denying that right to so many black Americans is systematic, racist disenfranchisement and it’s criminal. This country is in the throes of a national emergency. Under the guise of a moral imperative to curb drugs and addiction, the US has created a new enslavement–a new Jim Crow era. By not treating addiction as a public health crisis, America has created a new racial under-caste and is warehousing people at alarming rates. The intergenerational racism and trauma of prison-induced abandonment and isolation keep the cycle continuing as systematically as small-pox infected blankets in Indian communities. Every year 650,000 people are released from prison and are practically driven back to illegal activity due to the elimination of any resources, employment options, or shelter. In my work daily I see all levels of this continuum: the 21 year old raised in a meth house, whose mom and or dad are dead or in prison. I see aunts, uncles, brothers, sisters, incarcerated or on parole, and families who have lost custody of their children. I see angry children in foster care who grow up to be angry adults. This injustice is endemic, it is racist and it is devastating communities of color daily. The “War on Drugs” has failed, but people are still dying–and with them the soul of a nation. Iven Hale works with high-risk felons on parole or probation in Portland, Oregon. I know a lot of blacks where I’m from I don’t know anyone that had to serve jury duty.1 out of 5 black man is a convicted felon. where I’m from you are automatically found guilty. Your attorney persuade you to plead he don’t want a trial but he want your money. No black judges,jury, or attorney. They are all with the Klan.They march threw the streets and the national guard protects them with their guns and tanks.